Jenny Hill was born and educated in Melbourne, Victoria and graduated from La Trobe University with a Bachelor of Science in 1981, before moving to Townsville in 1982. Jenny was first elected to the former Townsville City Council in 1997 and was re-elected in 2004 during which time she became Deputy Mayor. Jenny was re-elected in 2008, serving as a councillor under former Mayor Les Tyrell. In 2012 Jenny was elected as the first female Mayor of the City of Townsville and re-elected as Mayor of the City of Townsville in 2016, and as Townsville City Council’s first female Mayor, she is very focused on giving back to her community. Personal and professional resilience is not only about strength through adversity but the ability to grow and adapt as a result of disruption. In this way we learn to move forward stronger than before. Participants are asked to consider resilience at both a personal and strategic level and through their leadership build resilience in their teams and manage challenging situations more effectively. We are progressing in terms of female representation in workplace and community leadership roles, yet high-potential women advance more slowly than their male peers in so many sectors, in terms of both career progression and pay. Individuals and organisations know, from research and intuitively, that female representation in top management can boost their performance, that everyone has a vested interest in seeing more women become top leaders, yet the progress is slow – pay parity wise we are talking 217 years slow according to the World Economic Forum. Is there a new conversation that needs to start? What else can be/is being done to accelerate these types of statistics to reach parity, equity and equality? Professor Smallwood is a registered nurse, a registered midwife, has also completed a Diploma in Indigenous Mental Health, and was the first Indigenous Australian to receive a Masters of Science in Public Health. In 2011, Prof Smallwood completed a PhD Thesis on Human Rights and First Australians Well-being, in 2014, Prof Smallwood became a member of the Queensland Mental Health and Drug Advisory Council. In 2015, Prof Smallwood was appointed as Member of the Harvard FXB Health and Human Rights Consortium, and a Member of the Federal Ministerial Advisory Committee on Blood Borne Viruses and Sexually Transmissible Infections. Prof Smallwood is also a former member of the North Queensland Primary Healthcare Network (NQPHN) Clinical Council for the Townsville-Mackay region. As Chief Executive Officer of Townsville Enterprise Limited (TEL), Patricia O’Callaghan is responsible for driving economic development outcomes for Townsville North Queensland while working with many Local Governments. Patricia is a member of the Golden Key International Honours Society, was recently named one of the 2018 BOSS Young Executives by the Australian Financial Review, and was the recipient of the 2014 Australian Institute of Management – Young Manager of the Year Award for Queensland. Patricia is currently a Director of the Queensland Country Credit Union Board, the Queensland Country Health Fund Board, the Australian Institute of Company Directors – Townsville Committee, the Queensland Community Partnerships Foundation – Townsville Committee, the Ignatius Park College Board and Townsville Rotary Club. Mayor Liz Schmidt was born and raised in Ingham, has been married to Owen for 45 years, is a mother of five, and grandmother of 6. Liz was an executive member on the Livestock and Rural Transporters Association at state and national levels for 35 years, past president of both, and the only woman to hold these positions. Liz has recently been recognised for her significant contribution to the industry by being awarded Life Membership to both organisations. In 2006 Liz was the Australian Trucking Association’s National Transport Woman of the Year. Liz was elected to the role of Mayor of the Charters Towers Regional Council in March 2016. A major factor that contributes to individual resilience is having a strong and diverse network. Numerous studies have shown the benefits of a strong network; a sense of belonging, increased self-worth and wellbeing, career progression and security. Particularly for women in male dominated workplaces, the data shows that having a network of other women has a significant impact on retention and career progression. This practical session explores the mindsets that hold us back from networking and methods for overcoming them. Participants will take away tips and strategies to build and maintain relationships - the bedrock of a strong network. Although Australia has made significant progress in the gender equity space, we all know there is a long way to go until we reach parity. The time for action is now. It is time for each and every one of us to take accountability in creating gender equity. Our aim is to empower individuals and organisations, across all industries and sectors, to make all kinds of small and large-scale change. Tracey Spicer AM is an author, journalist, and broadcaster who has anchored programs for ABC TV, Network Ten, Channel 9, Sky News and Radio 2UE. Tracey is the national co-founder of Women in Media, Outspoken Women, and NOW Australia. In 2018, she was named one of the Australian Financial Review’s 100 Women of Influence, and was also awarded an Order of Australia for her 30 years of media and charity work. Tracey has written, produced and presented documentaries for NGOs in Bangladesh, Kenya, Uganda, Papua New Guinea, and India, and the National Breast Cancer Foundation in Australia. Her first book, The Good Girl Stripped Bare, became a bestseller within weeks of publication in 2017. Professor Smallwood is a registered nurse, a registered midwife, has also completed a Diploma in Indigenous Mental Health, and was the first Indigenous Australian to receive a Masters of Science in Public Health. In 2011, Prof Smallwood completed a PhD Thesis on Human Rights and First Australians Well-being. In 2014, Prof Smallwood became a member of the Queensland Mental Health and Drug Advisory Council. In 2015, Prof Smallwood was appointed as Member of the Harvard FXB Health and Human Rights Consortium, and a Member of the Federal Ministerial Advisory Committee on Blood Borne Viruses and Sexually Transmissible Infections. Prof Smallwood is also a former member of the North Queensland Primary Healthcare Network (NQPHN) Clinical Council for the Townsville-Mackay region. As Chief Executive Officer of Townsville Enterprise Limited (TEL), Patricia O’Callaghan is responsible for driving economic development outcomes for Townsville North Queensland while working with many Local Governments. Patricia is a member of the Golden Key International Honours Society, and was recently named one of the 2018 BOSS Young Executives by the Australian Financial Review. She was the recipient of the 2014 Australian Institute of Management – Young Manager of the Year Award for Queensland. Patricia is currently a Director of the Queensland Country Credit Union Board, the Queensland Country Health Fund Board, the Australian Institute of Company Directors – Townsville Committee, the Queensland Community Partnerships Foundation – Townsville Committee, the Ignatius Park College Board and Townsville Rotary Club. Mayor Liz Schmidt was born and raised in Ingham, has been married to Owen for 45 years, is a mother of five, and grandmother of 6. Liz was an executive member on the Livestock and Rural Transporters Association at state and national levels for 35 years, past president of both, and the only woman to hold these positions. Liz has recently been recognised for her significant contribution to the industry by being awarded Life Membership to both organisations. In 2006 Liz was the Australian Trucking Association’s National Transport Woman of the Year. Liz was elected to the role of Mayor of the Charters Towers Regional Council in March 2016. The Australian Women’s Leadership Forum is for women who are looking for increased awareness of their leadership style and competencies, as well as practical strategies to help them overcome challenges within their work and personal life. The program also provides a relaxed and supportive environment to connect and collaborate with other female leaders. The content and flow of the program is carefully designed to immerse participants in the subject matter and create valuable insights informed by collective experience. During the program, a number of key themes are explored via a combination of expert presentations, collaborative discussion, experiential activities and personal reflection. 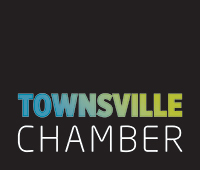 As Chief Executive Officer of Port of Townsville Limited, Ranee has overall responsibility for the strategic leadership, direction, and operation of the Ports of Townsville and Lucinda. Ranee has more than 20 years' experience in the port and shipping industry, and prior to her appointment as CEO she held a number of senior executive positions in commercial, planning, property, and governance fields. Ranee holds a Bachelor of Laws Degree (LLB) from James Cook University and is a Graduate of the Australian Institute of Company Directors. She sits on a number of boards and committees, including the Queensland Ministerial Freight Council, Queensland Ports Association, North Queensland Defence Advisory Board, Townsville Industrial Development Board, and Townsville Enterprise Limited. Anita commenced work with the North Queensland Cowboys in December 2007 as the Assistant Accountant. During the last 11 years of her tenure, the mother of two has seen her role within the club evolve, and currently holds the position of Football Commercial Manager. Supporting the Director of Football and NRL Head Coach, Anita manages football department budgets, player registration and contracts, salary cap reporting for compliance, operation support and logistics, along with assisting the ongoing strategic development of the Football Department. Anita’s rise throughout her time at the Cowboys has been no fluke. Her commitment and passion for both her job and the football club has made her a truly invaluable asset for the North Queensland Cowboys. As Chief Executive Officer of Port of Townsville Limited, Ranee has overall responsibility for the strategic leadership, direction, and operation of the Ports of Townsville and Lucinda. Ranee has more than 20 years' experience in the port and shipping industry, and prior to her appointment as CEO she held a number of senior executive positions in commercial, planning, property, and governance fields. Ranee holds a Bachelor of Laws Degree (LLB) from James Cook University and is a Graduate of the Australian Institute of Company Directors. She sits on a number of boards and committees, including the Queensland Ministerial Freight Council, Queensland Ports Association, North Queensland Defence Advisory Board, Townsville Industrial Development Board, and Townsville Enterprise Limited. Senior Constable Cherie Banks has been a police officer for nearly 20 years, and is currently stationed with the Brisbane Dog Squad. She has previously worked with the Public Safety Response Team and the Townsville Dog Squad. Cherie graduated as a Senior Constable in March of 2016 after 25 weeks of intensive training, and during her career has been involved in drug trafficking operations, violent protest and armed robbery response, as well as fundraising and education initiatives within the Queensland Police Service.